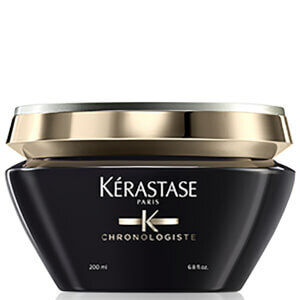 The Kérastase Chronologiste Duo is two-step treatment designed to transform dull, tired hair. 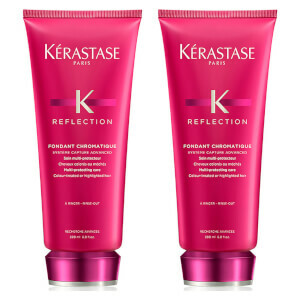 The unique, advanced formulas provide essential nutrients and moisture to recover hair to leave it feeling silky smooth. 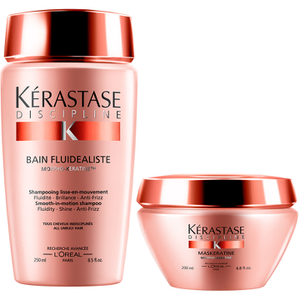 Regenerate locks with Kérastase Revitalizing Bain Shampoo, a concentrated care formula that combines vitamins A and E to cleanse and revitalise hair from root to tip. Perfect for all hair types, the shampoo works to rid the scalp of impurities whilst strengthening hair fibres with Abyssine (a regenerating molecule) and imparting mirror-like shine. Safeguards hair from external aggressors and helps to maintain colour integrity. Expect revitalised hair that looks and feels healthy and strong. Look after your hair with this revitalising hair mask, a luxurious formula that combines naturally derived ingredients to condition and soften the hair. 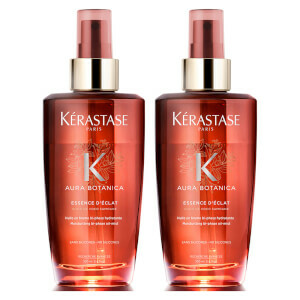 Golden and luminescent, the rich formula works to add shine, bounce and texture for healthy-looking, voluptuous locks. Experience its range of luxurious textures and witness revitalised, purified results.